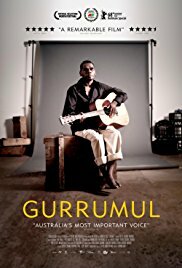 The film is about the Indigenous musician Geoffrey Gurrumul Yunupingu, who died in Darwin last year, aged 46. Bookings by Monday 23 April: Pat 03 9878 7939 | jandpschmidt@bigpond.com. Please PAY ON THE DAY with the correct amount. If you are unable to come, please call Pat 0425 705. Parking available underneath Lygon Court, the first two hours free, if you show your movie ticket. Otherwise, street parking. Geoffrey Gurrumul Yunupingu was an internationally recognised artist from Galiwin’ku, in remote north-east Arnhem Land who started in the band Yothu Yindi before his solo career. The film was directed by Paul Damien Williams, with cast members including Mark Grose, Michael Hohnen, and Sting. A Binnap Partners fundraiser for the Aboriginal Catholic Ministry Victoria.